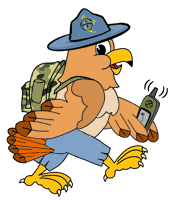 OCNA Admin DudleyGrunt appeared on yet another Geocaching Podcast on Sunday August 9th, 2015: The Cache and Release Geocaching podcast. DG was mainly on the show to talk about our website and our 5th anniversary contest, but he and host Michael Miller discuss several topics, including recent Geocaching News, and Geowoodstock. The Cache and Release Geocaching Podcast is recorded on Sunday Nights. It was created with a very simple goal in mind: To inform and entertain. 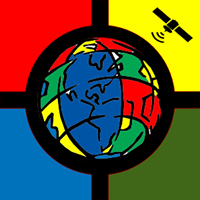 The show, produced weekly, will keep listeners up to date with the latest geocaching news and related subjects. Listeners will also have the opportunity to listen to interviews that broaden the scope of the show by bringing in other geocachers and pundits. In addition, the Cache and Release Podcast seeks to entertain listeners with topical and off topical commentary and subject matter. The end result should be a show that is well produced and considered a leader not only within the geocaching community, but also within the podcasting community. You can listen to the audio version on their website, or subscribe to it through iTunes, RSS, or Android, watch the shows on YouTube, and check them out on FaceBook, Google+, Pinterest and Twitter. What is a Cache-Advance Cache Crate?